Traditional Italian herb and garlic flatbread covered with cheese and a choice of toppings. 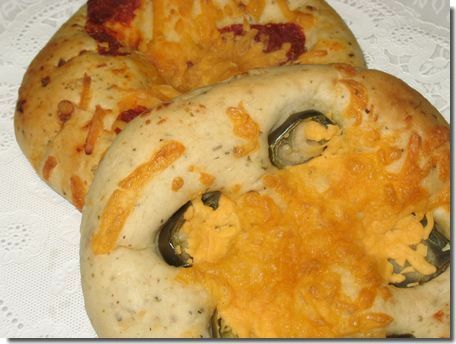 Flavors include: Jalapeno and Cheese; Sundried Tomato; and Olive (Kalamata Olive on request only). A soft, tasty bread often dipped in olive oil or used as a sandwich.